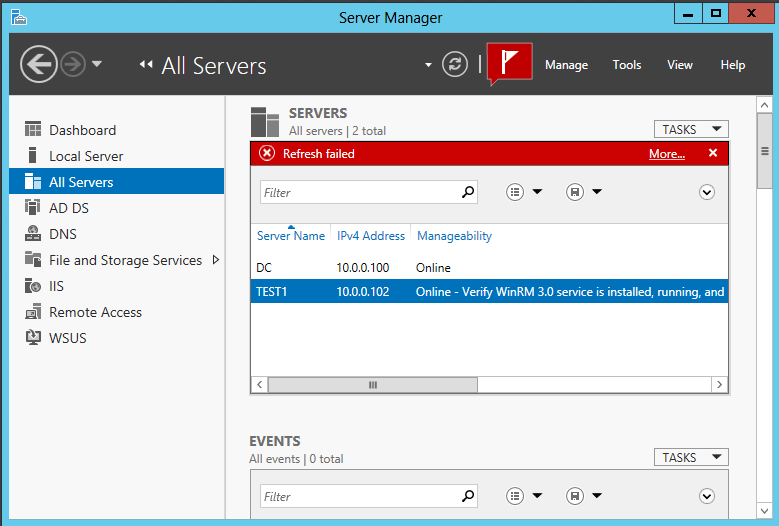 Back to my 2012 Server, I did a refresh in Server Manager… still no action. Maybe it’s something to do with an absence of .NET on this machine? Added .NET through the Add Features wizard and refreshed yet again from my 2012 box… still no juice. “To fully manage remote servers that are running Windows Server 2008 or Windows Server 2008 R2, install the following updates, in the order shown. So I was close… Off I go to download & install Windows6.1-KB2506143-x64.msu from the link provided. 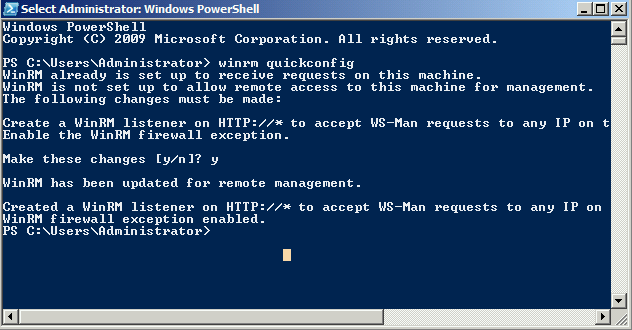 Rebooted as prompted & waited for the server to come back up. 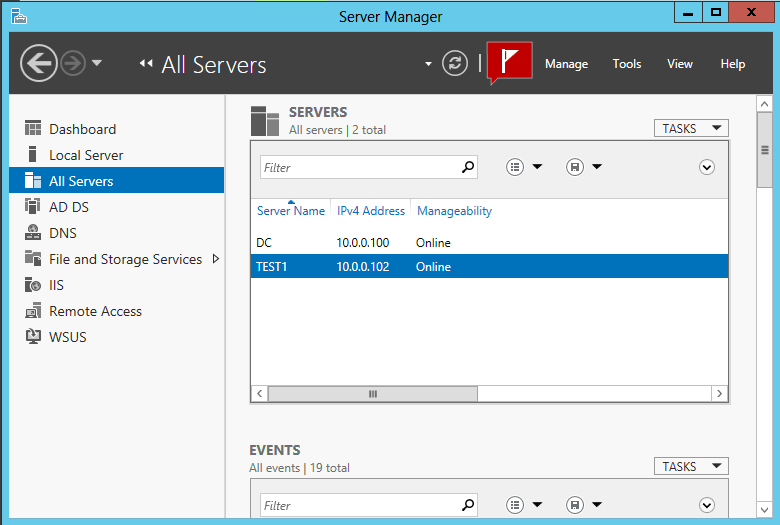 This entry was posted in Server 2008, Server 2012 and tagged KB2506143, Management, Server 2008, Server 2012. Bookmark the permalink. 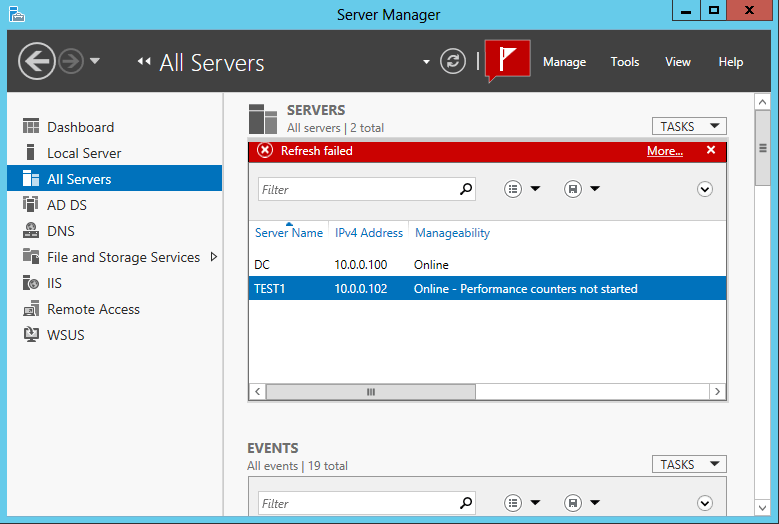 2 Responses to "Managing Server 2008 R2 Servers with Server 2012 Server Manager"